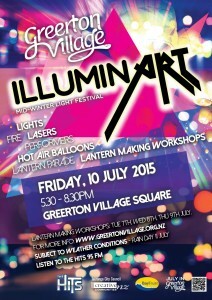 Greerton Village's Mid-winter Light Festival is getting closer all the time. 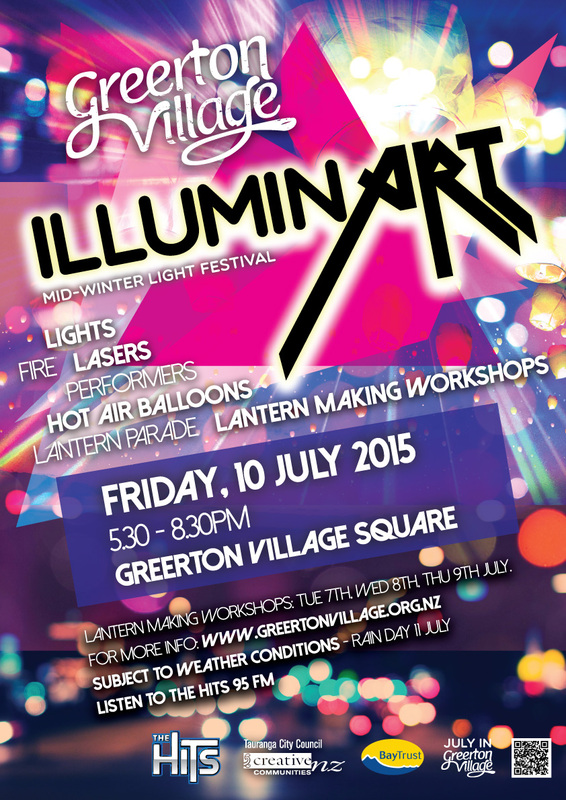 On Friday the 10th of July, we take another chance to throw off our winter blues and come together in the heart of Greerton Village for awesome light-based family fun. Friday the 10th of July is the first Friday of the school holidays. Earlier that week we will be hosting Lantern-making workshops in Greerton Hall for the kids – and anyone else – to come and make a lantern to carry in the parade. All you will be providing is your own torch. 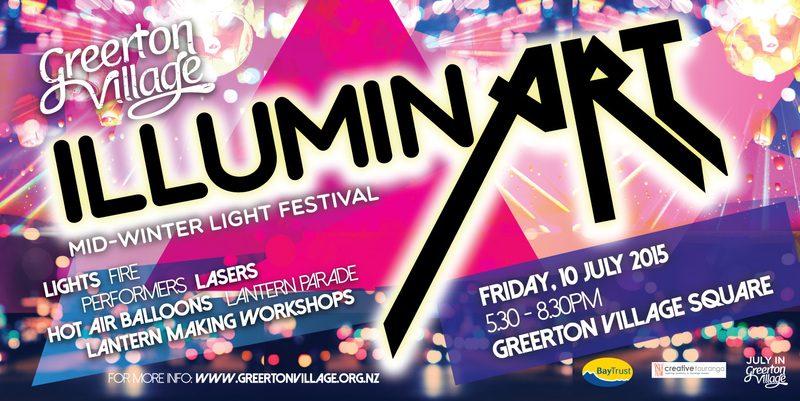 The event will kick off at 5.30 pm with the Tauranga Samba Band leading the Lantern Parade down Chadwick Rd to the Village Square, and we expect to finish at close to 8.30pm. 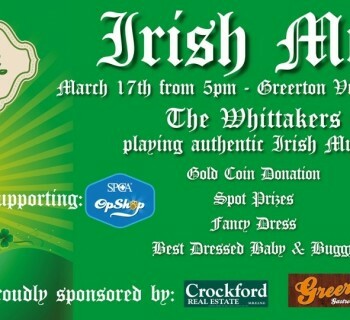 We are planning to have a number of “blacklights” (UV lights) positioned around the area to show off white and fluorescent-coloured clothing and facepaint. There will be lasers and light shows, music, hot air balloons (pretending to be giant lanterns), fire dancers and other creative performances. Fulton Hogan will be closing Chadwick Rd between Cameron Rd and Greerton Rd from 5pm until around 9pm. This will mean that any cars still in this section of Chadwick Rd that are not moved before 5.00 will not be able to be moved until after 9.00pm. If you have any questions please check our website, Facebook page, and listen to the HITS 95FM. Another Greerton Village night to remember.